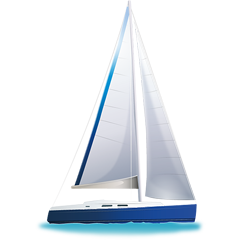 Vessy is a name of sailing boat Bavaria 40 Sport ,which was produced in 2014. You can rent this sailboat from port Corfu in region close to Ionian Sea. Vessy is furnished with 8 berths. Sleeping places on the boat are arranged in 8 (6+2) scheme. 3 cabins are situated inside the vessel Vessy. Analyze different yachts by opening this link here: Yacht charter Ionian Sea. Passengers can feel comfortable on this sailing boat , because there are 2 WC for their disposal. Vessy is powered by engine 53. On the yacht you can make use of following equipment: Autopilot, Gps, Gps plotter, Gmdss, Dinghy, Bimini top, Anchor electric windlass, Radio / cd player, Bed linen, Mainsail with lazy jack. . Nonrefundable deposit is at the level of 2500.00 EUR. In our search engine you can easily check avalailability of sailboat Vessy from Corfu by opening this link here: Yacht charter Greece.